Migrating your existing IT infrastructure to the Cloud can be a very daunting task for small and medium sized businesses. Such a transition needs to be planned for, and well executed so that none of your mission critical data gets lost and downtime is minimized. VPLS Managed Enterprise Cloud services is comprised of VPLS Professional Services which allows for this transition to the Cloud to occur seamlessly. For example, integration, migration, and onboarding and second day support services are available to you by the VPLS Technical Assistance Center (vTAC). VPLS Managed Enterprise Cloud services can even help you to create and innovate your very own Cloud with dedicated resources and hardware. VPLS utilizes virtualization technology from the leaders in the space, VMware vSphere and vCloud, Microsoft Hyper-V and Azure on-premise, Xen and KVM. We also integrate with public Cloud services like Amazon Web Services and Microsoft Azure to provide additional services such as low cost storage archiving, CDN, and desktop services. VPLS’ VMware cloud services is powered by vCloud technology and we were 1 of 31 original vCloud Powered Distinguished Service Providers. Discuss your Cloud migration strategy with one of our representatives now and see how VPLS can assist you with your enterprise cloud requirements. 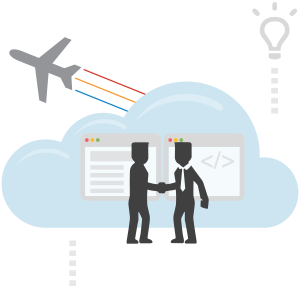 This is a pilot phase of the project in which we demonstrate the powers and benefits of the Cloud particular to your business and industry. Your engineers will be trained on how to use our Cloud platform and gain hands on knowledge and experience with seeing how applications will work on our platform. Need help with designing specific software applications for your business, such as mobile apps or an E-Commerce storefront to sell your products and services? Our team can even help with architecting infrastructure to support these applications into a highly scalable and redundant cluster. Here we will review with you in detail which type of cloud structure will work best for you. For example, can your business IT model work in a public cloud (where certain resources are shared), or in a private cloud (where the infrastructure is dedicated to you)? How can we optimize your Cloud so you can gain the business agility? Our professional team will answer all of these questions, and more. Business owners keep hearing about spyware and malware attacks occurring on a large scale. Don’t fall victim to these cyber threats. With our workshops, we will keep you updated with the latest solutions on how to combat these hacks from the network and systems perspective. Our team will also work with your auditors to complete any compliance checklist required. 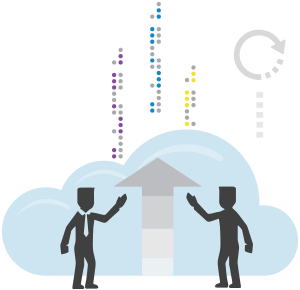 With this, our professional staff will lay down your actual Cloud migration strategy, and determine the exact resources you need to start out with. If you find that you need more resources later on, or need less, your Cloud can be scaled to meet your exact needs with the ability to scale on demand. By using the Cloud, you can back up your mission critical data very quickly, and very easily, and our staff will show you how to do it efficiently. If your business is ever hit by a natural or cyber based disaster, you can be back up and running in a very short period of time. VPLS partners with the best technology companies such as HyTrust DataControl for VM encryption with FIPS-approved AES-128/256 encryption for data at rest and in flight. HyTrust encrypts the entire Operating System and all blocks as they are created and written. Their advance technology can detect the difference between a “Gold Master” snapshot image and a VM that was cloned maliciously. A VM or group of VM’s can be re-keyed quickly and easily without impacting the performance of the live VM. To learn more about HyTrust and how it can help put your mind at ease when migrating to the Cloud please contact us today! Remember, the Cloud is now the wave of the future. You can drastically trim your IT expenses by moving your existing IT infrastructure to the Cloud. Our dedicated staff will help you make this transition quick and efficient, according to your needs and specifications. But, our dedication to you does not end there. After your migration to the Cloud is complete, your post migration care will be handled by our 5-star rated 24×7 VPLS Technical Assistance Center. Contact us today so we can get your business to the Cloud! VPLS Managed Enterprise Cloud services are powered by the VMware vCloud technology which offers robust API access, dedicated and guaranteed computing resources, secure private network isolation, and high availability, all guaranteed by an industry leading 99.99% Service Level Agreement (SLA). All Cloud Pool resources are protected with High Availability against host server failures to increase uptime. Application aware High Availability is also available for databases such as Microsoft SQL Server. 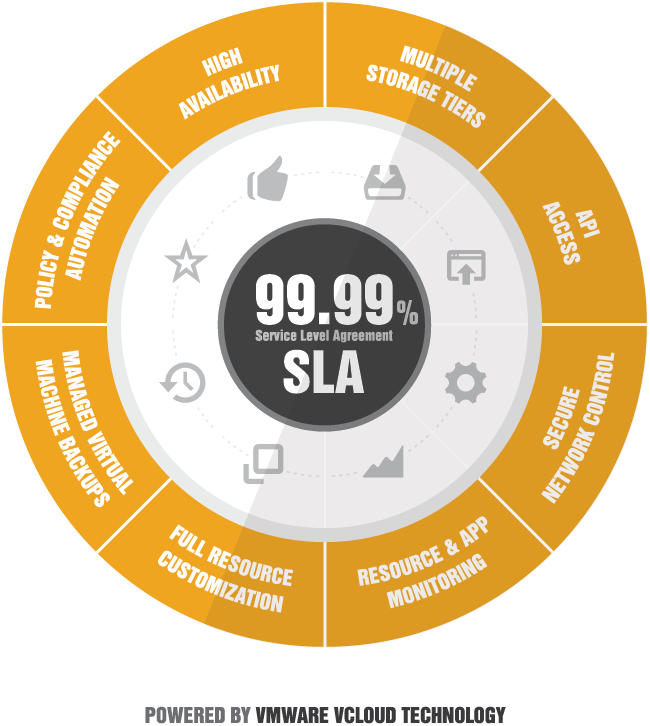 Deploy various storage tiers to meet the demands of your application ranging from bulk data Bronze tier to the highly available replicated Platinum tier. Access the full Cloud controller API so your DevOps team can automate provisioning or auto scale applications based upon demand. All Cloud Pool networks are secured with VLAN and VXLAN technology, with the ability to deploy virtual or hardware based firewalls and load balancing solutions at various network node segments. Gain full visibility into your virtual environment with quick graphs and health check scores, as well as on demand reports to gauge performance and resource utilization for Cloud capacity planning and optimization. Apply policies to automate workflows to enforce strict compliance standards. Quickly view which virtual machines are out of compliance and remediate those virtual machines on a routine basis. We make managing backups easy because we do all the work. Backups are stored according to industry best practices to deliver recovery times as low as 15 minutes. With VPLS Cloud Pool, you can allocate the resources the way you see fit scaling applications up and down to meet growing or declining demand. Contact Us today for more information about our Managed Enterprise Cloud services. We keep your Email address private and we won’t share your information. Learn about our compliance to meet industry standards such as HIPAA, PCI, and SOC.